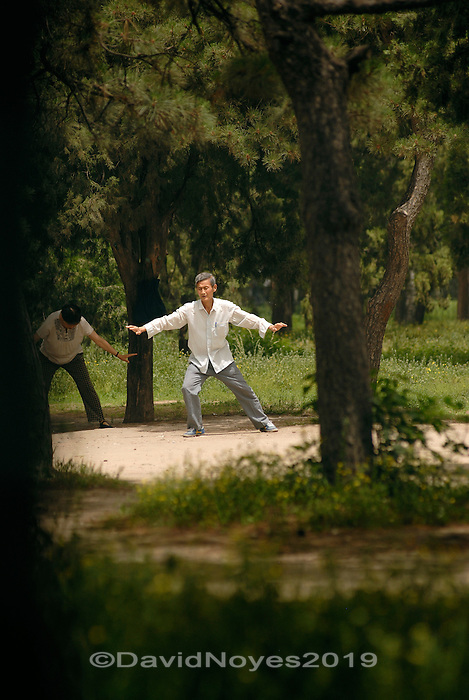 A master (sifu) leads a group in the gentle movements of tai chi on the grounds of The Temple of Heaven (Tiantan Park). Temple of Heaven is located in southern Beijing. It was first constructed in 1420, the 18th year of the reign of Ming emperor Yongle..
As a photographer and travel writer, I have been fortunate to visit some of the world's great places. I have met hundreds of fascinating people and been touched by both the beauty and tragedy of the human condition. © 2011 David Noyes. All rights reserved. Site Design by Born Digital. Copyright © 2011 Noyes Travels.